Will the leaks prove real? 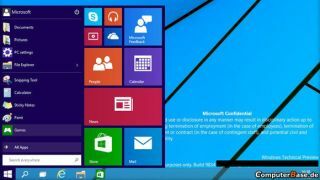 The rumours around a possible release of Windows 9, whether it's really a point release (Windows 8.2) or justifies the version change, re-enforces the fact that IT is in a state of constant migration. It wasn't that long ago that IT teams were concerned with how they should migrate the business from one version to another. Migration was a task that ran every two to three years. Organisations had an element of time on their side as they knew when the OS was going end-of-life, having time to plan, to test and then to execute. Migration was also just a one way move - it was never thought that you may have to move back as well as forward. These continual updates presents several problems: limited preparation time, reduced testing, more complex application deployments, growing version support and a variety of workspace management issues. With so many migrations now taking place IT teams run the risk of underestimating the process, the time, complexity and overall management challenge involved – not to mention that amount of post migration help-desk support required. Regular OS roll outs mean it is imperative that IT departments ensure that they keep systems and applications up-to-date, with minimal failure points, ensuring they have the capacity to provide deployment services and desktop management in parallel. The continual change in software is only compounded by the explosion in devices (PCs, tablets, mobiles, laptops etc) now being used across an average organisation. The end result is that it is more difficult than ever before for IT departments to manage the workspace environment, deliver a good user experience and remain in control of application access permissions. The ideal of having one master image, or a single 'Gold' build is proving more difficult to achieve. The operating system or platform that users consume their apps and data on is fast becoming irrelevant. In a world where businesses still need to be able to secure and manage elements of their users, their apps and their data, organisations must now try to manage the unmanaged. Research we carried out earlier this year found that more than three quarters of UK businesses still use Windows XP, despite the fact it is now 12 years old, yet on average it accounted for less than 25% of organisations' desktop estates. This really highlights just how much variation, not only in terms of legacy operating systems, but also applications and devices, that currently exists in the typical UK business. Operating systems, platforms, applications and use cases are constantly evolving creating this state of continual migration. Whether it be a point release or a major version businesses must respect the fact that end user computing is changing. What is happening in the OS market is comparable to the BYOD revolution that saw the number, and variety of, devices on the corporate network sky rocket. This too raised a number of challenges in terms of control and management. Suffice to say, just like the desktop only office, monolithic platforms are a thing of the past and migration is no longer something you will have to do deal with once every 3 years. I have heard a lot of people over the last three years tell me that Windows 7 was to be the last migration they ever did – how wrong they were. They should now accept that the world of IT will be locked in constant migration for the foreseeable future. Simon Townsend is Chief Technologist at workspace management provider AppSense.